If you've been following along, you know that I usually use my Wednesdays as rest days. I've been running myself ragged with work and general chaos, but I've been sticking pretty closely to my meal plan and have started running again. I'm proud of myself! I bought some awesome compression socks that are surprisingly amazing. I feel like I'm able to recover a lot quicker, which has enabled me to "double dip" workouts again (e.g. run in the morning and play volleyball at night). I can't wait to write up that review for you guys! I'm super late to the game, but I know if I am, there are surely others... I hope. Speaking of reviews, I have a new sports bra review for you today! 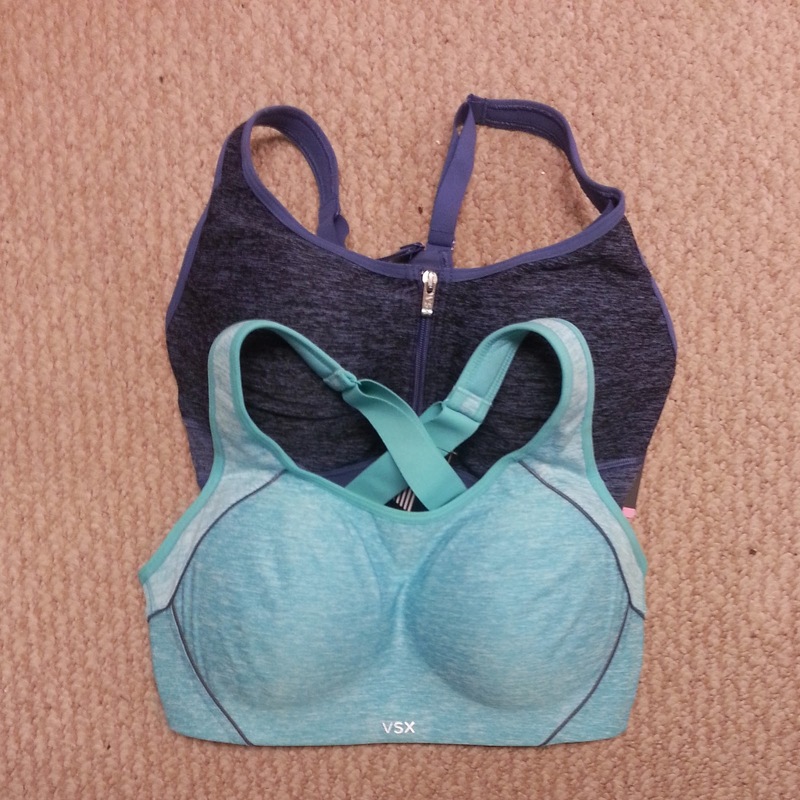 I have been on a Victoria's Secret sports bra testing out rampage. 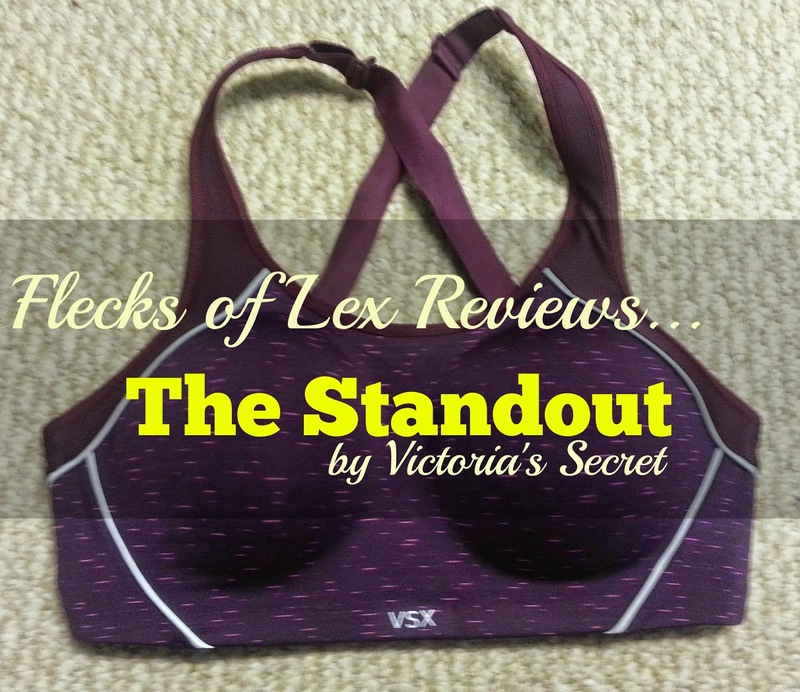 I reviewed The Knockout sports bra last week, so this week I bring you The Standout. First, full disclosure: This is a sponsored blog post. Influenster provided me with complimentary Victoria's Secret products to test and review as part of a contest. Of course, you know I keep it real with my reviews, so don't worry! I am going to be totally honest with you in this review, per usual. 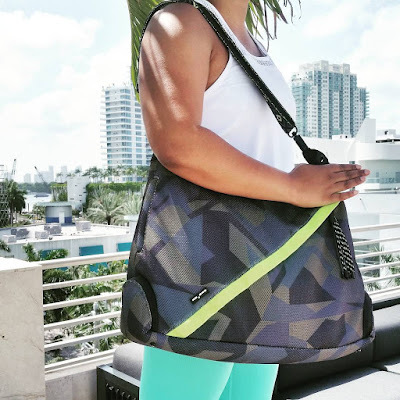 This sports bra was actually one that I purchased using a VS Sport coupon I received from Influenster (I gave a bunch out to friends and family as well). And man, was I happy I had that coupon! That sucker is over $50 full price! Let me back up, though, and start from the beginning. So, I went into the Victoria's Secret I described in my last review. I didn't get fitted, as I explained, because I always wear the same size (or so I thought). It took me a little while before I was finally able to try on the bra at home, but I was so satisfied with it when I did. The sales associate was right: This sports bra was legit. I was annoyed that I had to adjust the straps before putting on the sports bra (we all know I am an uncoordinated klutz), but I was happy that this bra has adjustable straps at all (The Incredible does not). So I adjusted the criss-crossed straps to what I thought would work, and put it on. Okay, no. I didn't put it on at first, because I'm an airhead and put my head in the wrong hole. Don't ask. But, on the second try, I put it on. I did my sports bra test a little more ferociously this time around (probably because of my experience with the last one), and was seriously impressed. Everything stayed in place, and the straps felt great! Sometimes, everything is in place, and a sports bra can have straps that feel like they're carving into your shoulders like you're a Thanksgiving turkey. It is not fun. I can think of one sports bra in particular that I got on a deep discount - but usually runs you a pretty penny - that does just this. It is so uncomfortable that I decided to break up with it after testing out The Standout. I even tweeted about my #SportBraBreakup. I love the color options! I actually bought a second one (the black orchid one pictured above was the second purchase) because I loved it so much, and was so happy that I could get it in another pretty color. I'm not much of an exhibitionist, but if I had a 6-pack, I totally would wear the purple one on a hot day without a shirt. It even has reflective accents on it! So cute! Speaking of not being an exhibitionist, this is also one of the higher cut sports bras (some are more of a v-neck or just a lower cut in general), for those who have a preference. You know how you feel like you're going to rip your shoulder out of the socket when you're taking off a sweaty sports bra? Not with The Standout! I thought I would really dislike the hooks on the back, but it actually makes taking it off super easy. It's actually one of the easiest sports bras to remove that I have ever owned. It also doesn't hold sweat like other sports bras, which is definitely a bonus. I highly recommend this sports bra. It is good quality, the support really is appropriate for high impact sports, and it's extremely comfortable. You can pick it up in stores or online. They're actually running a promotion online, so make sure you check it out! It has definitely made my sports bra A-list! Have you tried the new line of Victoria's Secret Sport Bras? What are your thoughts on the new collection? 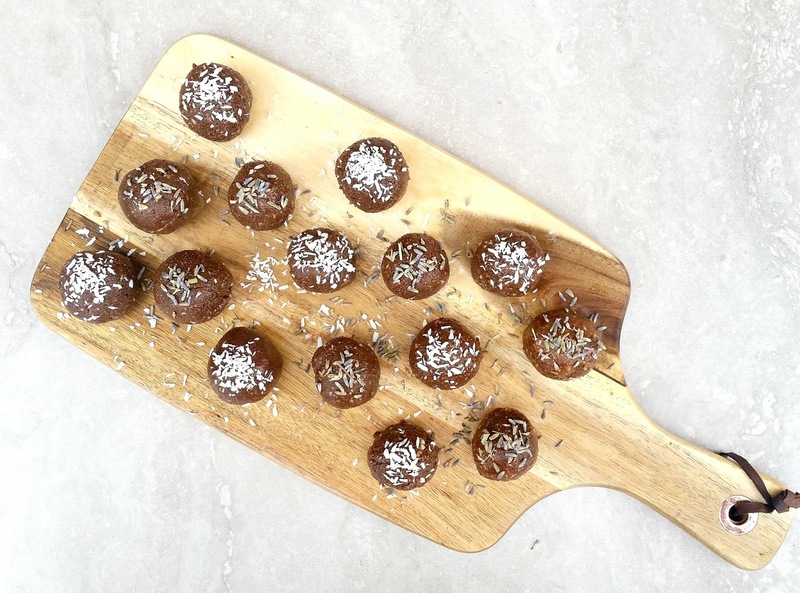 If you haven't tried any yet, what's keeping you away? Yeah, they definitely are. They're the same price range as Nike, Adidas, and even Champion when you look at their high impact sports bras; however, I never buy those full price either. Bummer! I haven't tried the medium impact ones, but it looked like they didn't have the molded cups, so maybe they would fit better? I haven't tried that one yet, but I've been wanting to! Thanks for the info! Definitely wait for a sale! It's too expensive otherwise. Great review thank you! I think I need to try it! You definitely come with exceptional articles. Great list. Buying a bra that fits is life changing! Seriously. I was WAY off before being properly fitted.